Assessing anti-rotation pillar strength is important prior to loading clients’ spines with torsional activity. From a tall plank position, you can assess torsional control by observing this test/exercise. Beyond observation, this technique can be used for improving anti-rotational strength and stability. Begin in a tall plank position with the feet shoulder width apart. Tighten the core and slowly lift the right hand off the floor and tap the left shoulder. Pause for 1-2 seconds and then return to the start position. Next, repeat this pattern lifting the left hand off the floor and tapping the right shoulder. To correct faulty movement and improve control, begin with slow controlled alternating taps for 5-10 repetitions or time, stopping once fatigue or loss of control sets in. This pelvis and rib cage should remain level if adequate strength and stability is present. If marked rotation occurs, then performing torsional training may carry increased increased risk for injury and lead to poor movement patterns. Clients need a stable base prior to adding significant loads and propulsive training. Perform ipsilateral repetitions continuously prior to switching sides to increase the difficulty of this exercise. 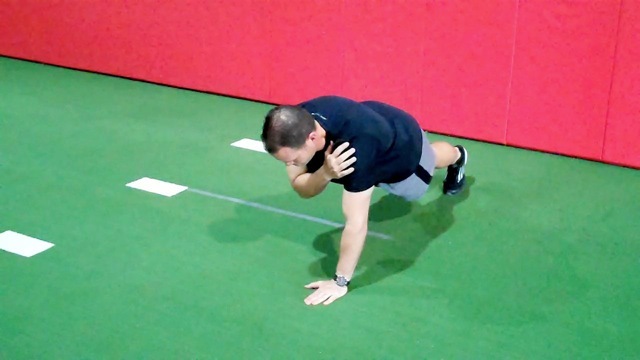 Once control with the taps is satisfactory, consider adding in a traditional push-up between alternate shoulder taps for additional upper body strengthening if desired. Reaching to the elbow is a straightforward modification that can be used to lower demand. 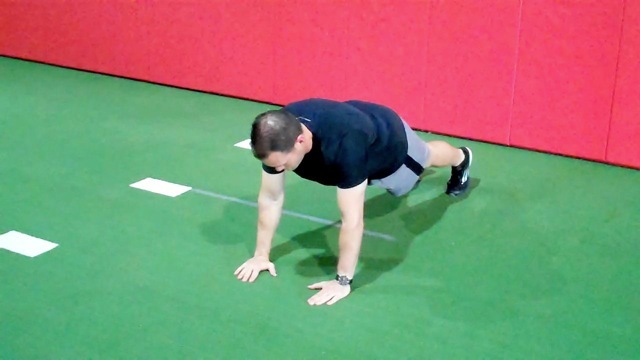 If upper body strength or poor pillar control prevents execution in a tall plank position here, you may even opt to perform the exercise on the knees.